1. Can you point northward? Can you point to the North Pole? 2. If a nebula begins to spin rapidly, what shape will it become? 3.What "fuel" does the sun use in nuclear fusion, and what does that fuel turn into after it fuses? 4. When air rises, does that cause cloudy skies or does it cause clear skies? 5. Does air pressure increase or decrease at higher altitudes? 6. There are 40 parent atoms. How many will remain after 2 half-lives? 7. What type of current is in the mantle beneath a divergent plate boundary, a rising current or a sinking current? 8. What type of radiation gets trapped by CO2 in our atmosphere, infrared radiation or visible radiation? Rock dating test #3. Solutions. Video explaining solutions. Experimental Design and Climate Change Practice Test. Answers/Solutions to parts 1 and 2. Notes providing answers to part 3. 1. What is this moon phase? 2. 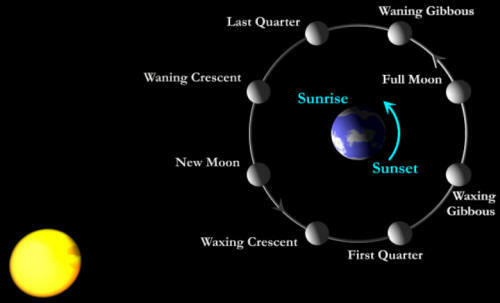 How many weeks after this moon phase will the next spring tide occur? 3. Assuming that high tide occurs 4 hours after the moon is highest in the sky, when will high tide occur? 3. Assuming that high tide occurs 2 hours after the moon is highest in the sky, when will high tide occur? Continue Lost Student Scenario. Finish F and G.
Solar cookout on Monday or Wednesday? IF you have no zeroes in PowerSchool, use this grade calculator to make a decision about dropping quizzes. Then submit this form to tell Mr. Stapleton what you would like to do. If you need a protractor, you can print one using this link. Print a protractor. Get Lost Student Scenario C. If you don't have a protractor at home, get a paper protractor. 1. 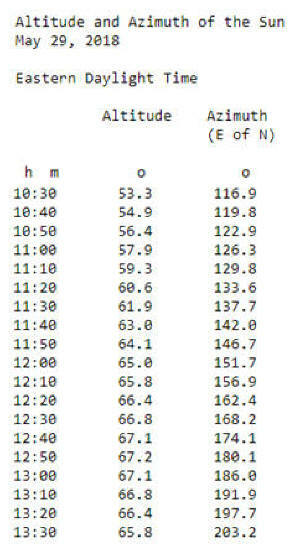 According to the data on the right (provided by the U.S. Navy) , at what time is solar noon in Essex? How can you tell? 2. On a full moon, high tide does not occur at midnight. Does it occur before midnight or after midnight? Why? Return papers: Test, CO2 experiment feedback, and A7/8 quiz. Warm-Up: The solar oven on the right is a glass-covered metal cylinder with two 20" x 26" racks that can remain horizontal when the oven is tilted. The reflective mylar-covered plywood panels should collect 36 ft2 of sunlight (compared to 3.44 ft2 last year). Both tilt and lateral angle can be adjusted. 1. 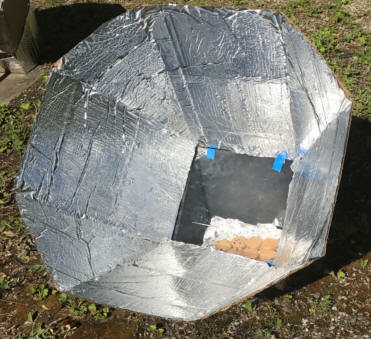 How can we make sure that the solar oven is pointed directly at the sun? 2. What should we use to insulate the metal cylinder? 3. 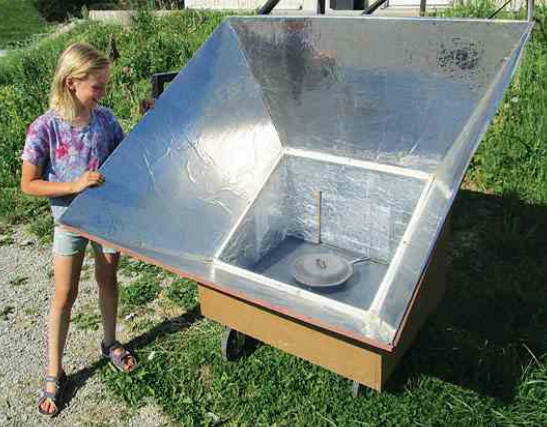 Do you have any other solar oven suggestions, concerns, questions, or ideas? Lab reports are due -- CO2 experiment. If you want to submit your lab report using Google Docs, please paste a link into this form. 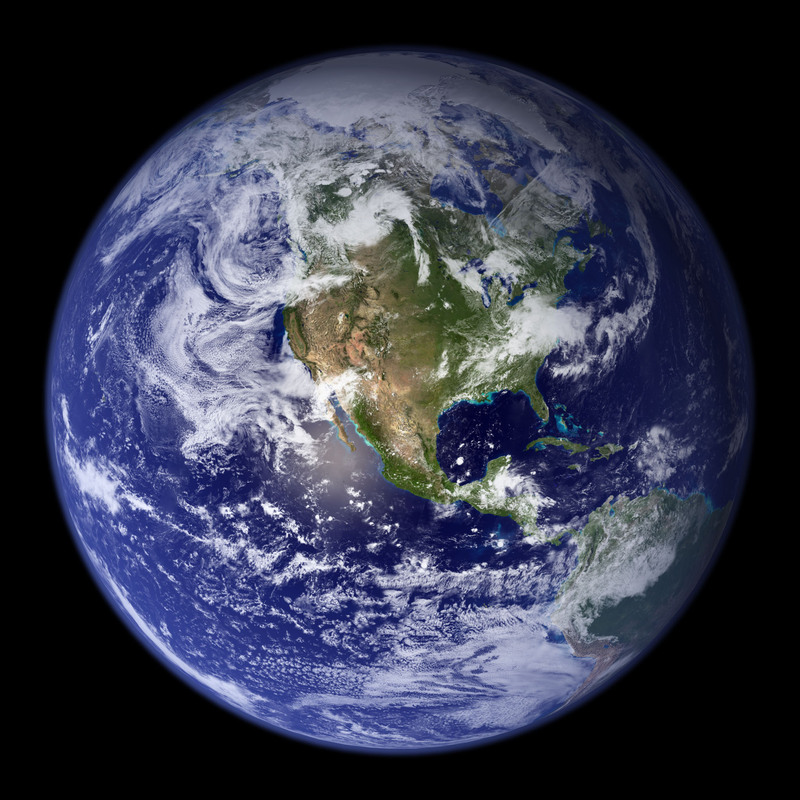 Videos: A History of Earth's Climate Why don't people believe in climate science? Continue Lost Student Scenario. 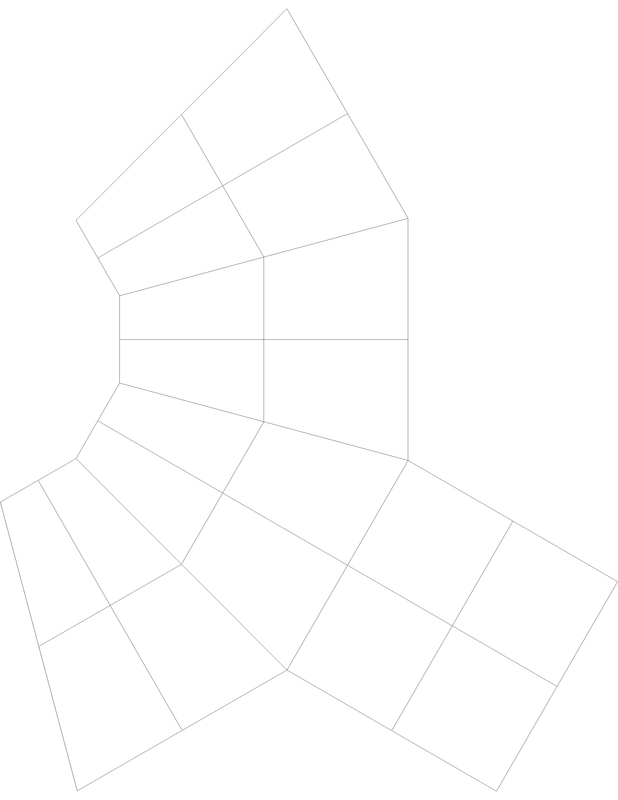 Print a protractor. 1) What do you think we should do about global warming? 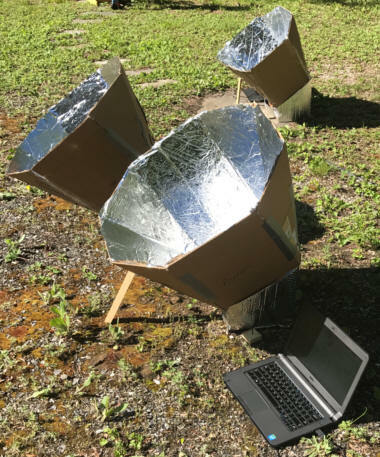 2) The pictures on the right show last year's solar ovens. How could we scale up and improve the design? What features would be useful? Lab reports are due on Thursday (see last class for details). If you want to submit your lab report using Google Docs, please paste a link into this form. Lab reports are due on Thursday. One lab report per group. 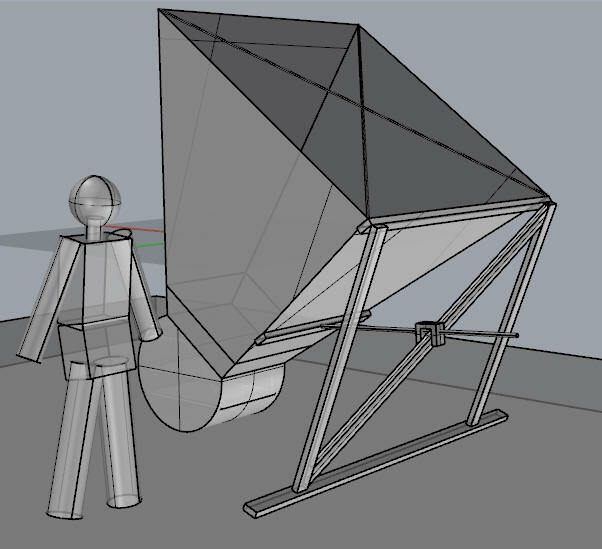 Think of some ways to scale up and improve the solar oven above. The diagram above shows shadows cast by a stick protruding vertically from the ground, somewhere in the world. The times at which each shadow was cast were recorded from a watch that is set to solar noon in Essex, VT.
1. 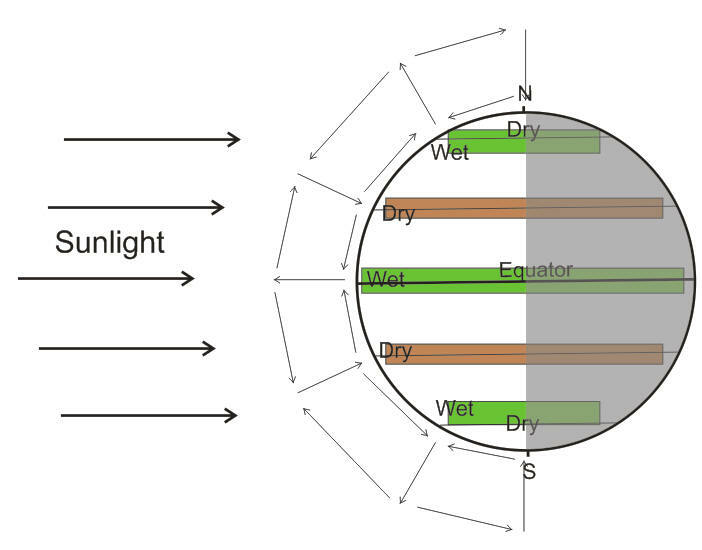 What is solar noon? 2. Which shadow represents solar noon? 3. At what longitude is the stick located? Lab reports are due next Thursday (see last class for details). If you want to submit your lab report using Google Docs, please paste a link into this form. Get practice test over Experimental design and Climate Change. Begin Lost Student Scenario. Print a protractor. Lab report is Due next Thursday. One lab report per group. 1. 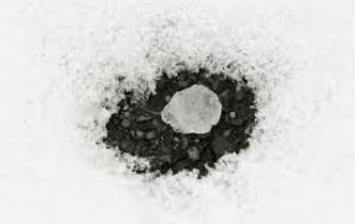 Melting of snow is a change that results in positive feedback because it causes more light to be absorbed by the Earth, which results in higher temperatures that melt more snow. What would negative feedback look like? 2. If a meteorite 7 miles in diameter collided with Earth, what likely effect would it have on climate? 3. How long can you safely hold your breath in a resting situation? Briefly discuss grades (PowerSchool is updated). Go over the rest of the Climate Change Notes. Finish your lab report. Lab reports will be graded on completion of the following sections, clear and effective communication (including grammar and spelling), control of variables, and a logical conclusion supported by evidence. **Optional -- discussion of known variables and how you would control them if you were to repeat the experiment. 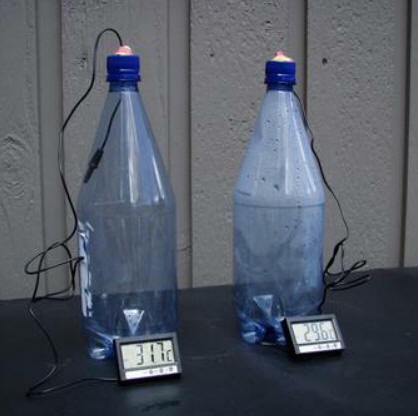 Suppose you're conducting an experiment to find out which of two 2-liter bottle heats up more. 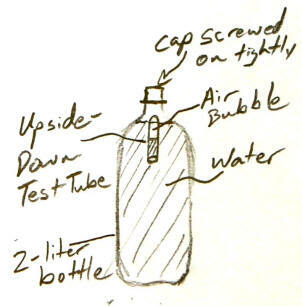 You place a thermometer probe in each bottle, plug the probe into the computer, and you record. What is one important variable that needs to be controlled? Conduct an experiment to determine whether sunlight causes "air" to heat up faster when the carbon dioxide level is higher. Available materials are computer temperature probes, bright lamps, 2-liter bottles, Baking soda/vinegar, duct tape, up to 3 Alka Seltzer tablets, and other supplies that you would expect to find in a science classroom. Change your procedure, as necessary. Discuss any issues (such as variables that should have been controlled) that may have caused problems with your experiment. Explain what you would do to fix those problems if you were to do this experiment over again. Write a conclusion, citing your data as evidence and explaining your reasoning. 1. Can you really burn paper with a magnifying glass? If you wanted to try to burn some paper, what type of paper would you use? 2. 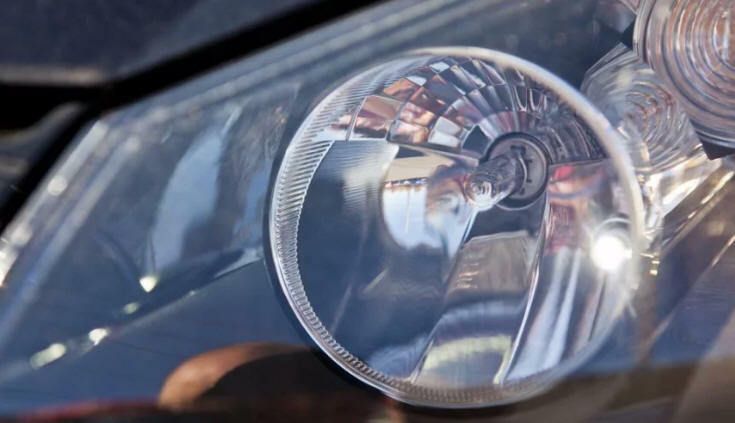 What is the purpose of the mirrors around car headlight bulbs? Design and conduct an experiment to determine whether sunlight causes "air" to heat up faster when the carbon dioxide level is higher. Available materials are computer temperature probes, bright lamps, 2-liter bottles, Baking soda/vinegar, duct tape, up to 3 Alka Seltzer tablets, and other supplies that you would expect to find in a science classroom. Warm-Up: What features of a solar oven help it to collect and store the sun's energy? 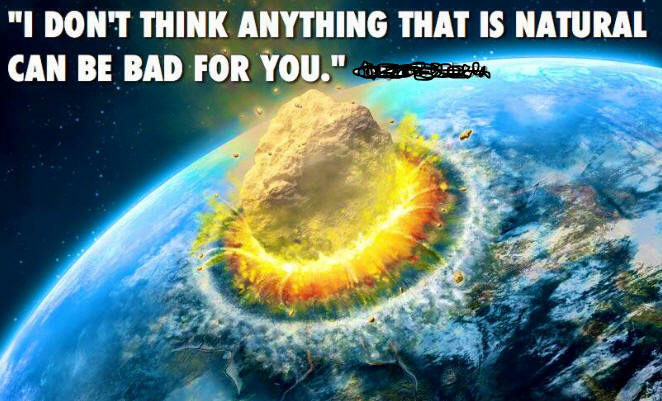 How could you test the hypothesis that humans are causing global warming? Quizzes -- for students who were absent before break. Homework: Quiz next class over climate change notes through "how do greenhouse gases heat up the Earth?" 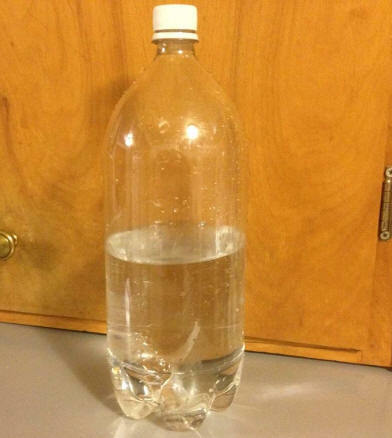 I am going to open this 2-liter bottle and turn it upside-down over the flame -- without pouring out any of the liquid. What do you think will happen? 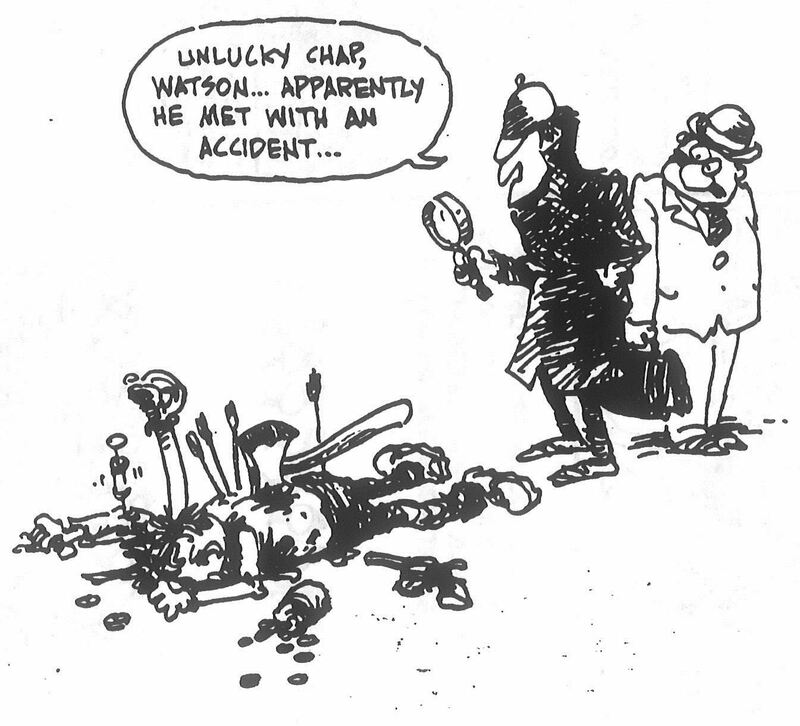 Share the findings of your investigations. Deadline for submitting lab reports with no grade deduction is today. Homework: Find and share an interesting video on the subject of climate change. Ideally, the video should be under 7 minutes long. The video could relate to the mechanisms of climate change, impacts of climate change, evidence that climate change is or is not caused by humans, solutions to climate change, the carbon cyclec, or feedback loops. Share the video using this form. If you want to submit a video that is longer than 7 minutes, you may do that, but you must also submit a video under 7 minutes. Warm-Up: The best way to test the efficacy of medical treatments is to use a randomized double blind placebo controlled study (RDBPC study). What do these words mean, and why is this the best way to study medical treatments? Finish and submit lab reports. Lab reports are due today. If you want to ensure the most prompt grading, turn in your lab report today. The deadline for submitting lab reports with no point deduction is May 1st. After that, you may still submit your lab report, but points will be deducted. If your lab report is not ready to be graded by the end of class, insert a new slide at the beginning of your slideshow. On that slide, create a note saying something like "not complete -- please do not grade." Make sure that you have submitted your lab report slideshow. Make sure that your slideshow is shared with me. Give me editing rights so that I can insert comments. If time permits, begin sharing results. Warm-Up: Do you agree with Sherlock? Why or why not? Use this lab report template to guide your investigation. Design your experiment and collect Data. Copy the lab report template above and rename it with your name(s). If you have a partner, share it with your partner. Also share it with jstapleton@ewsd.org. Fill out this experimental design project form. In the form, you will need to paste a link to your slideshow. Today: Finish data collection. Conduct statistical test. Write lab report. Friday: Short quiz. Finish and submit lab report. If there's time, present your findings. Prepare for multiple choice quiz on Friday over Experimental Design Notes. The quiz questions will come from the notes as well as the practice quiz. A good review would be to try the practice quiz (print a new one with this link) again and watch this video of me going over the answers to the practice quiz. I may watch my video and use it to generate quiz questions. Lab reports are due on friday. If you want a good example of a lab report, here is the example lab report that I created for the reaction time experiment. 1. What is the chance of a ball making it all of the way to the left-most side of the quincunx? Why? 2. What is the chance of a ball making it to either the far left side or the far right side of the quincunx? Why? 3. What do these answers tell us about one-tailed and two-tailed tests? Wednesday: Finish data collection. Conduct statistical test. Write lab report. Lab reports are due on friday. 3. What is a quincunx? How does one work? 4. What test can you use when you have no idea how the data are distributed? Practice quiz over Experimental Design Notes. In the same pairs as yesterday, read other groups' lab reports and give them feedback. Discuss them as a class. A7/8 -- Read Mr. Stapleton's example investigation. Eye color and reaction time -- The Dickey Amendment is the one that I was mentioning yesterday. Create your own experimental question for another investigation. You may work alone or with one partner. This investigation will be graded as a project. Begin thinking about your procedure. Do some practice sampling to refine your procedure before collecting your actual data. 3. Can there really such a things as political science and social science? Explain. 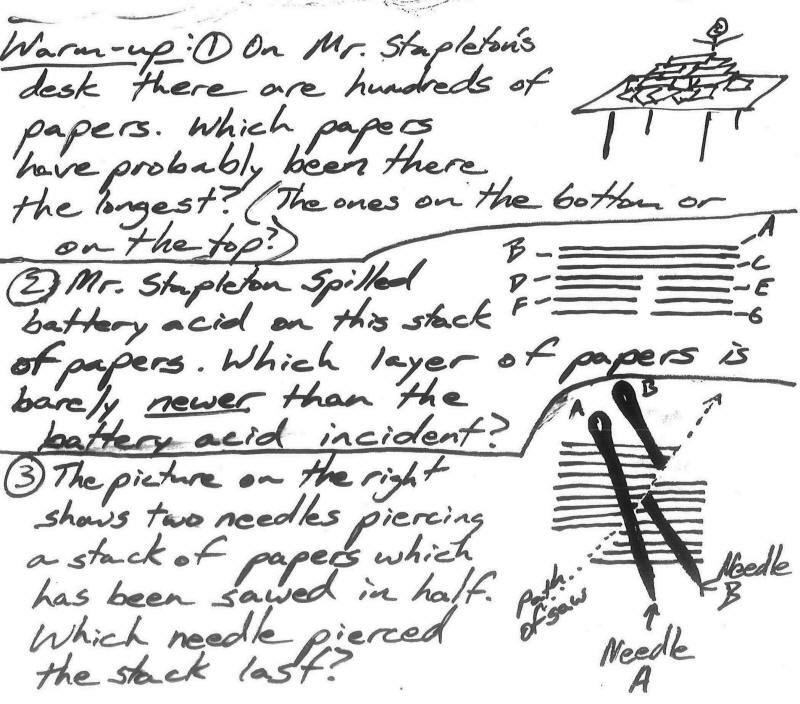 Check and discuss homework -- Mr. Peabody's investigation in Experimental Design Notes. Pick out problems in a second investigation -- the foot smoothness investigation. Read the rest of Experimental Design Notes. Last night you did not have to read the statistics part. Tonight you do. We will have a practice quiz tomorrow over the content of the notes. Scientific investigations involve manipulated, responding, and controlled variables. 1. 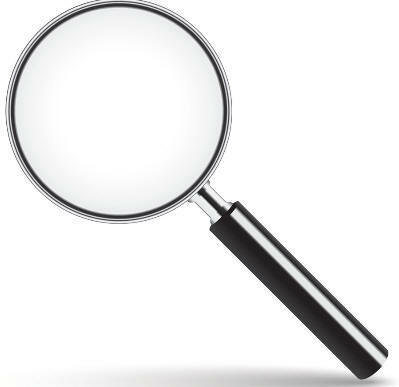 Describe the role each type of variable plays in an investigation. 2. What are some other names for the manipulated variable and the responding variable? For each of the following investigative questions, identify the manipulated variable, responding variable and one important controlled variable. 3. Does shaving cause hairs to grow back thicker? 4. Do fisherman catch more fish when the moon is full? 5. Do cats react differently to people with beards? 6. Does listening to music during tests improve test scores? 7. Does eating sugar make kids hyper? In pairs, conduct an experiment for which the responding variable is reaction time. Compare two groups of at least 5 students. These could be the same people in two different conditions or they could be different people. On your paper, write down your experimental question and your hypothesis. Identify your manipulated variable, your responding variable, and at least three important controlled variables. Create a chart for your results, including averages for each testing group. Then use an online statistical test to determine the p-value for your data. Use that p-value, as well as some averaged data, to make and state your conclusion. All parts of this investigation should be documented on this lab report scaffold. Make a conclusion about the significance of your results. Someone offers you a wager that is decided by a coin toss. 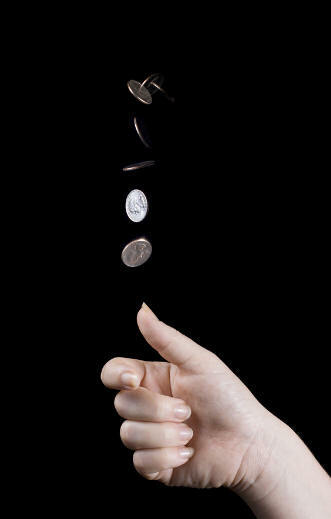 The terms of the bet are, she calls the toss while the coin is still in the air. If she calls correctly, you pay her a dollar. If she is incorrect, she pays you a dollar. Before the toss that counts, she gives you the coin so that you can examine it and satisfy yourself that it is a "fair coin." You do this by tossing the coin a number of times and counting heads and tails. 1. In scientific inquiry, what does it mean for something to be "statistically significant?" 2. What is the minimum number of tosses that would allow you to "show, scientifically" that the coin is unfair? 3. What, exactly, would the results of these tosses tell you? Finish National Geographic Cyclone. Answer questions. Submit this form to tell me what quiz option you would like. Watch National Geographic Cyclone. Answer questions. The picture on the right shows the bottom of a hovercraft. How does it hover? A7/8 -- Mr. Stapleton gone on Monday. You will will be taking the test and turning in projects. Links: Resource page for this unit (Climate Mapping) -- project information, notes, videos, etc. Optional -- Climate Mapping Practice Test Answers/Solutions -- the map is #4. See my YouTube channel for a video showing how to draw the map. Work on your mini-project map -- Due Monday, 4/2 by the end of the day. 2. What are jet streams? 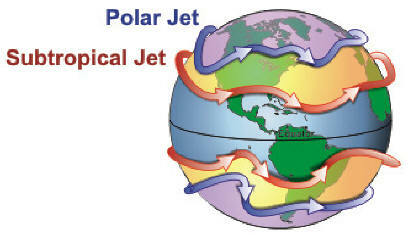 How do they relate to the "polar vortex?" 4. What causes jet streams? 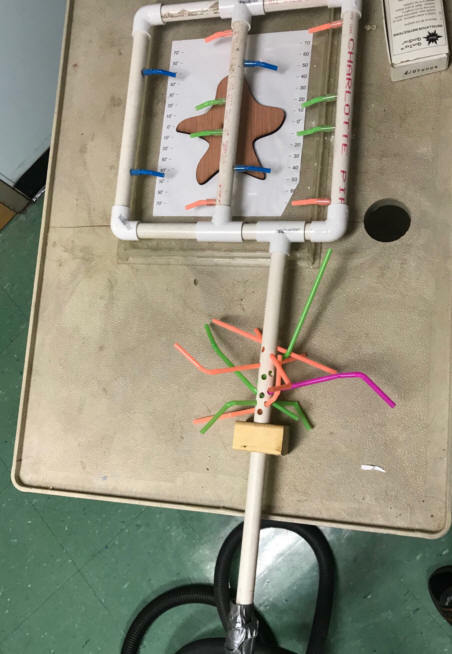 We will use the contraption on the right to simulate ocean currents. How do you think it works? If you haven't submitted your files, follow this link to the directions -- Click here for directions. 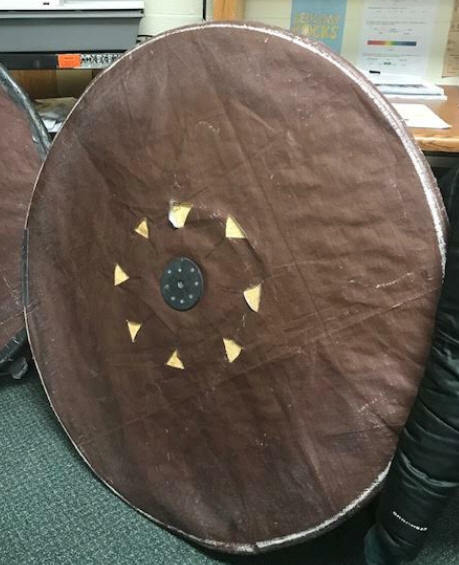 If you do not successfully submit a Rhino file before next class, you can print your continent during class, paste it onto cardboard, and cut the outline using a scroll saw. Study for multiple choice quiz next class over #26-33 from Climate Pattern Questions -- With Answers. Warm-Up: A relative humidity of 100% means the air cannot evaporate any more water; it is 100% full of water vapor. 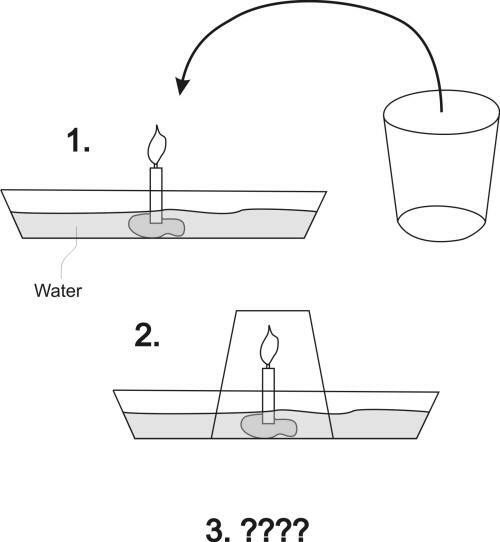 1) Which air can evaporate more water vapor, 90 degree air or 60 degree air? Why? 2) Which air contains more water when its relative humidity is 100%, 90 degree air or 60 degree air? 3) Suppose you have some air with a relative humidity of 70%. If you cool down the air, what will happen to its relative humidity? 4) What is the dewpoint? 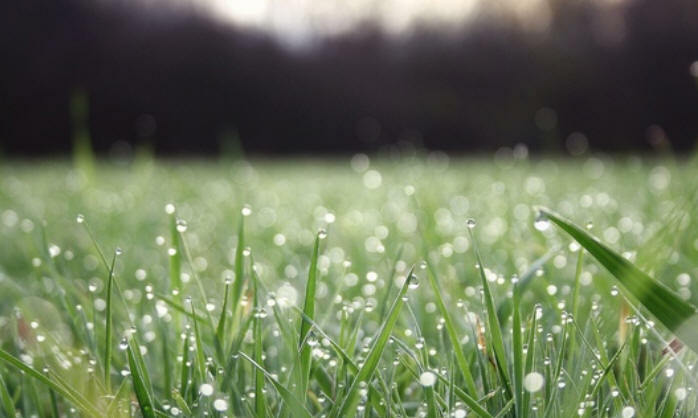 5) When does dew form? Why? A5/6 -- Did we finish #2 of Climate Map Practice? Complete the North America Map. If you haven't already done so, finish designing and submitting your own continent design. Resource page for this unit (Climate Mapping) -- project information, notes, videos, etc. Complete practice map 3. For help, watch the videos on my youtube channel. Quiz on Tuesday over the rest of Climate Pattern Questions -- With Answers -- #26-33. 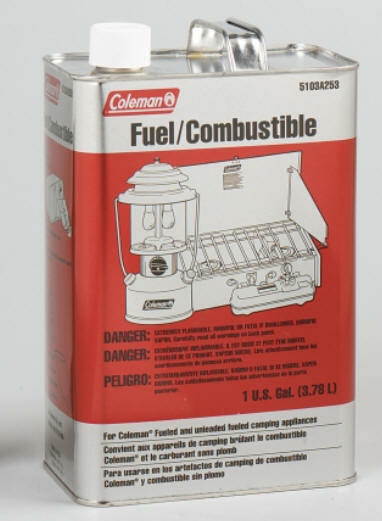 I have an empty fuel can, like the one on the right. My plan is to open the unscrew the cap, heat up the can on a hot plate, screw the cap back on the can, and remove the can from the hot plate. 1. What is going to happen? 2. Which is potentially more explosive, a fuel can that is full or a fuel can that is almost empty? Why? 3. If you were going to do this demo in front of a class, what would be a good precaution to take? 4. Estimate the gas pressure inside the can before heating, during heating, and the cap has been returned. Design your own continent -- you will be creating a laser cut physical model, simulating your continent's ocean currents, and explaining all of its climate features. Click the following link and follow the directions describing how to create and submit your continent. Click here for directions. This must be done from a school computer that has Rhino software. Most science classroom computers and library computers have Rhino. Resource page for this unit (Climate Mapping) -- notes, videos, etc. Practice drawing climate maps. You can watch the videos above. If you want a blank version of one of the maps in the video, you should be able to find most of them here... Mapping Global Climate Patterns (historical). Quiz next Thursday over the rest of Climate Pattern Questions -- With Answers -- #26-33. There are three misteaks in thi sentence. Can you find them? Important note for A5/6: Wednesday's class will begin at the rink. Meet there. A7/8 will meet in the classroom and then go to the rink. Quiz next class over #14-25 from Climate Pattern Questions -- With Answers. Know and understand the answers to the questions. 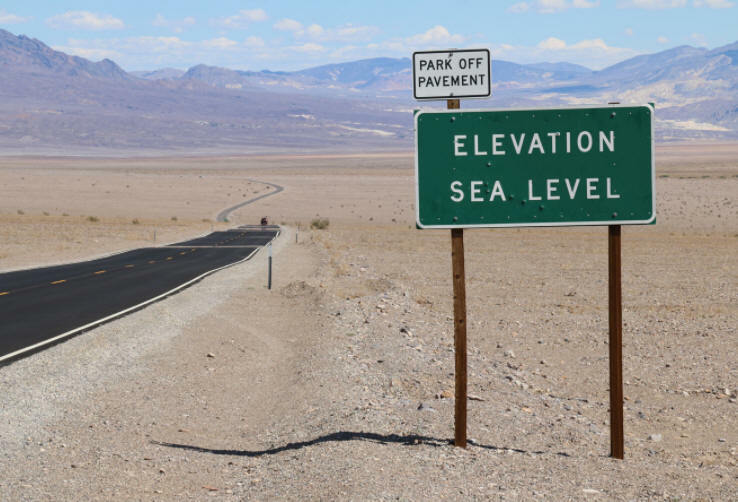 What is the climate like in Death Valley? Why? 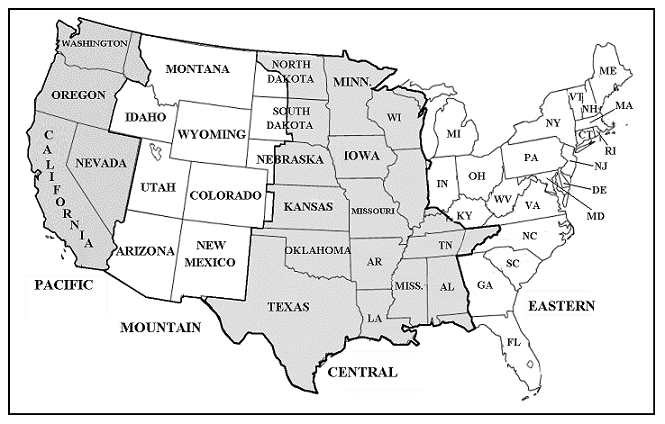 Continue climate maps -- add seasonal and humid climates. 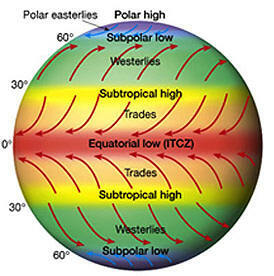 Make sure that we add the ITCZ (Doldrums) and the Horse Latitudes. Climate Pattern Questions -- With Answers. Eventually, you will be expected to know the answers to all of these questions. Study #14-25 from Climate Pattern Questions -- With Answers. Know and understand the answers to the questions. 1. 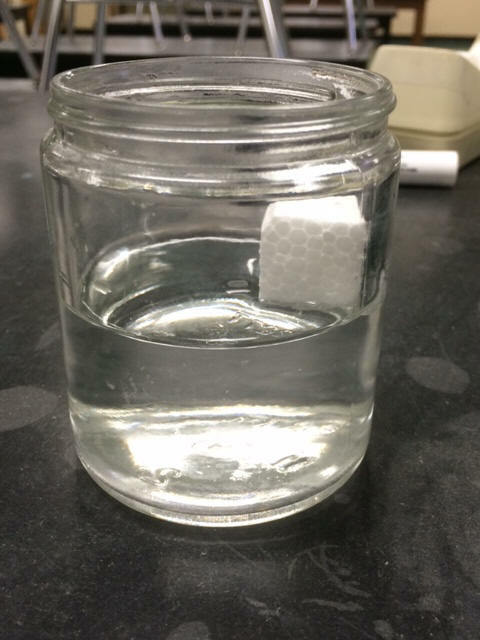 Does water change temperature faster or more slowly than land? 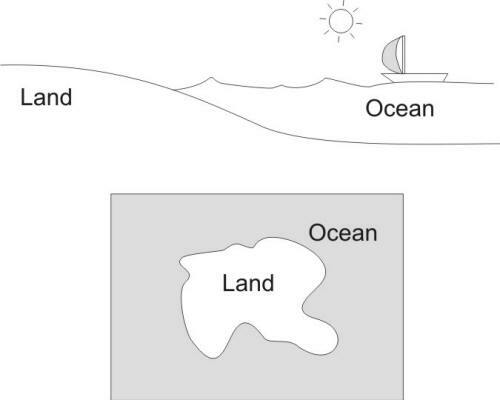 Both pictures on the upper right show the same land and ocean. The perspectives are different. 2. Is there an onshore (toward shore) or offshore (away from shore) breeze? 3. Is there higher pressure over the continent or over the ocean? 4. Is this late summer or late winter? 5. Will this effect increase or decrease the precipitation on the land? 6. 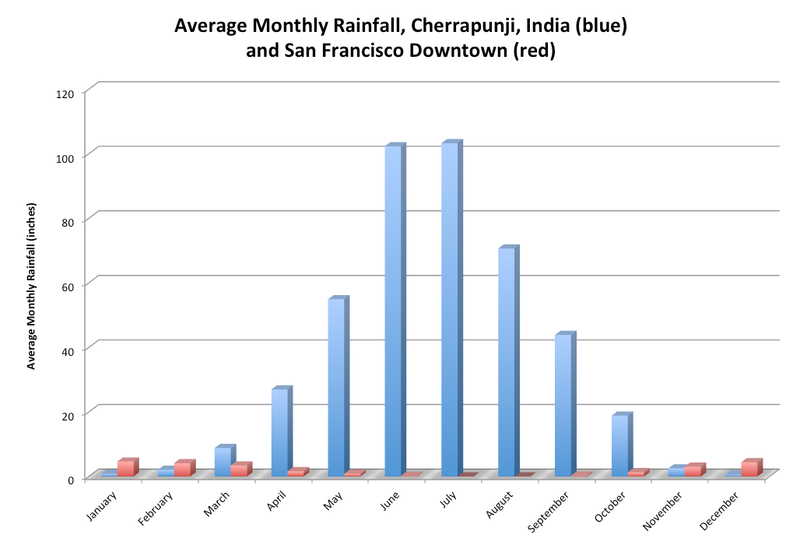 Where in the world is there a very strong Monsoon Effect? Climate Pattern Questions. Eventually, you will be expected to know the answers to all of these questions. Study. Quiz next class over questions 1-11 from Climate Pattern Questions. Know and understand the answers to the questions. 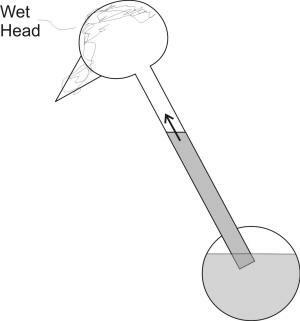 The wind is blowing from left to right in the diagram on the right. 1. Why are there clouds on the left side of the mountain? 2. 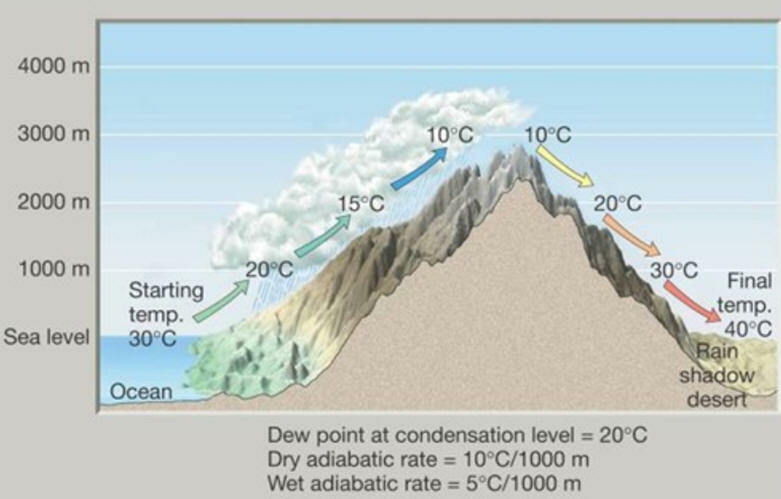 What do you think the wet and dry adiabatic rates are? 3. Why is the starting temperature cooler than the final temperature? 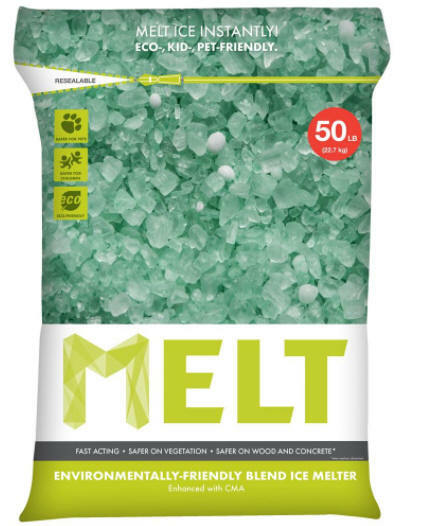 Melt snow using salt and graph its temperature -- learn about latent heat. Growing list of Climate Pattern Questions. Eventually, you will be expected to know the answers to all of these questions. 1. What months might the diagram on the right represent? 2. 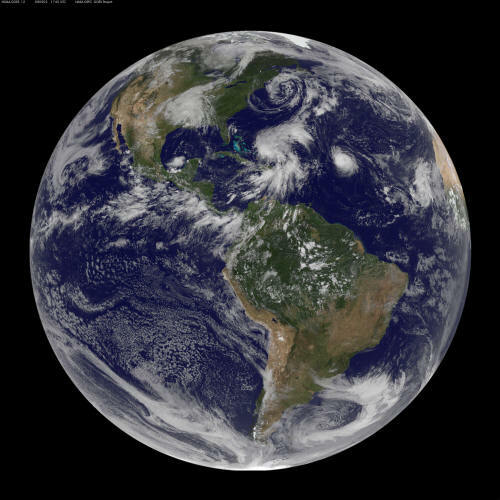 How would the Earth look different in June? 3. How would it look different in December? Arrows showing all of the major circulation patterns in Earth's atmosphere. What will happen in the picture on the right? 1. 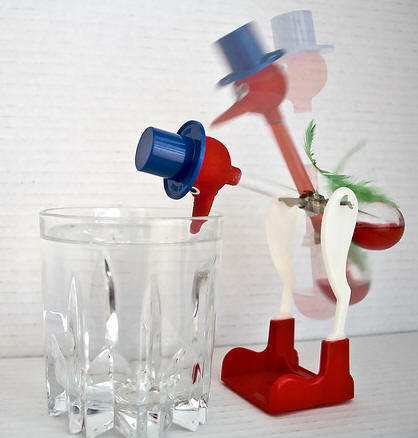 Why does the bird keep drinking? 2. How should one prepare for a test? If you have completed the worm problem, turn in your solution. Test on Thursday (next class). There will be no corrections and no retakes. Study Rock Dating Terminology. Memorize the definitions and answers. Retake the practice tests, below. As you retake the practice tests, make sure you know why you are doing what you are doing. The knowledge and skills you are practicing need to be transferrable to a new test that is similar in its concepts but different in its details. Rock dating test #1 (called "Rock Dating Review). Video explaining solutions in great detail. Rock dating test #2. Solutions. One way to classify rocks is by their method of formation. This gives three types: igneous, metamorphic, or sedimentary? 1. 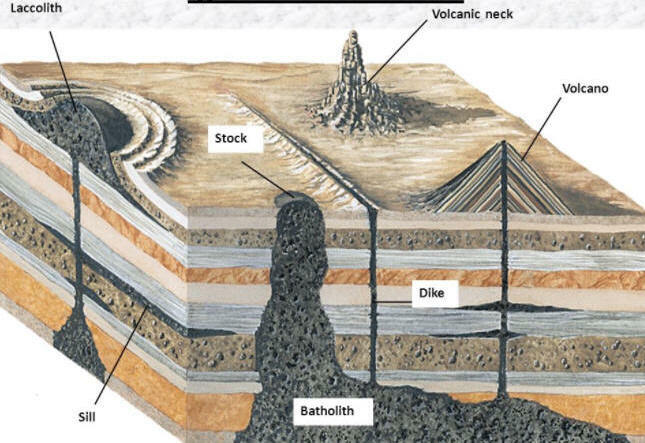 Which rock types are clearly shown in the diagram on the right? 2. Which of the three rock types can be used for radiometric dating? 3. What causes the radioactive clock to reset? In other words, what can cause the radiometric age of a rock to go back to zero? 4. 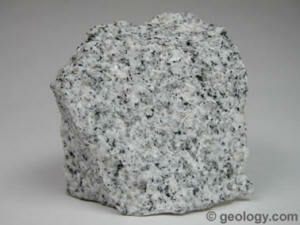 Some rock is made from volcanic ash. Would that rock be igneous, sedimentary, or both? Could it be radiometrically dated? Homework: Prepare for test next Tuesday (2/13). Study Rock Dating Terminology. Memorize the definitions and answers. Try the practice tests, below. 1. Log28 = 3. Log216 = 4. Log416 = 2. Log5125 = ? 2. x0 = 1. x1 =0.5 x2 = 0.25. x3 = 0.125. x4 =0.0625. x = ? Rock Dating -- test version 2. Solutions. Introduce logarithm method. A pond is 100 feet wide. Starting from one side of the pond, a snail glides directly across, covering half of the remaining distance each day. 1. How many days does it take the snail to reach a point three feet from the opposite side of the pond? 2. 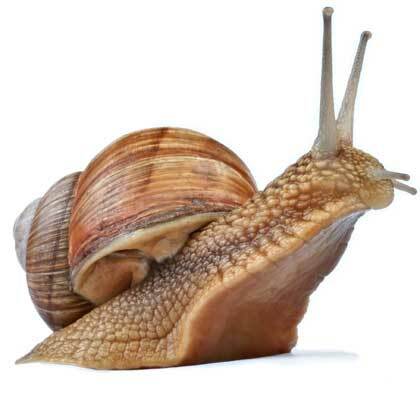 How many days does it take for the snail to reach the opposite side? Look at midterms. Verify grades. Return your midterm -- you may not keep it. Course recommendations -- If you want me to recommend you, write your name and the course to which you would like to be recommended. 1. 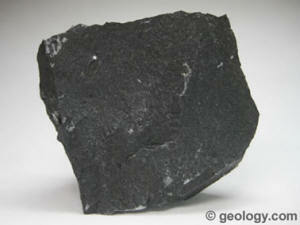 How is an igneous rock made? 2. How is a sedimentary rock made? 3. How is a metamorphic rock made? The answer to #15 on the Astronomy section of the midterm review is wrong. The answer should be "e," not "b." Be aware that some of the multiple choice questions on the midterm review may be changed to short answer questions on the actual test. Likewise, some short answer may be converted to multiple choice. Use this Google Form (or the link in your email) to submit your project. No points will be given for completing the Midterm Review Answers to Midterm Review. The midterm will be similar to the unit tests in content and composition. If you do not have any missing assignments, I will replace the lower of your last two quizzes with your grade for the Plate Tectonics portion of the midterm. Stargazing Assignment Alternative -- Due on Today, but you can turn it in late with a point deduction. Stop motion animation project -- due on Exam day. Submit using this Google Form. What is the object of these photos? Hint: It's related to a homework assignment that over half of you have not completed. If you do not have any missing assignments, you will have the option of replacing either of the last two quizzes with your grade for the Plate Tectonics portion of the midterm. 1. 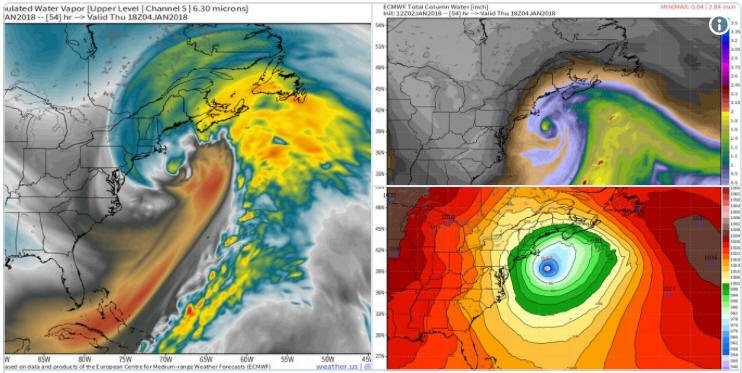 Why is the approaching weather system called a "Bomb Cyclone?" 2. What are some effects of rapidly dropping pressure? General Requirements ** Note that my example does not meet all of these requirements. It would not recieve 100%. Animation must include enough frames to clearly portray any growth, shrinkage, or movement of tectonic features. 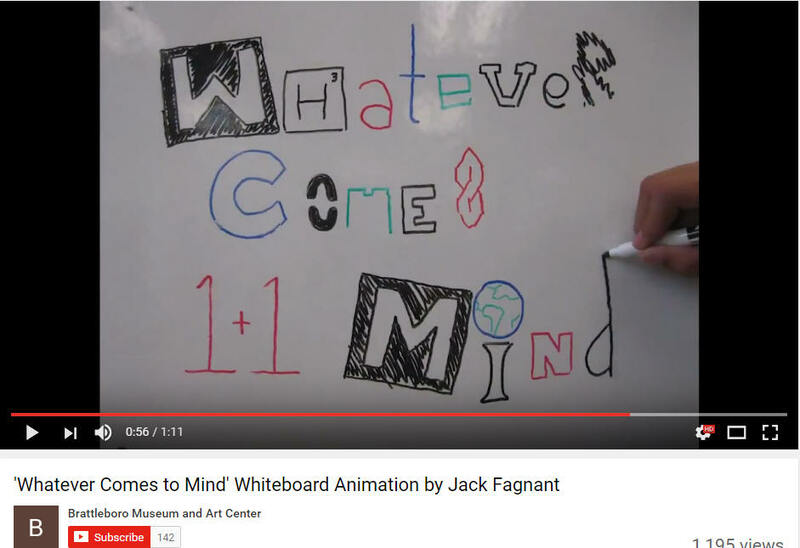 The stop motion animation video on the right was created by a student from Brown's River Middle School. How is stop motion animation done? Animation must have at least 10 frames. Next step -- make stop motion animations of plate boundaries. Use yours on your test next Thursday. 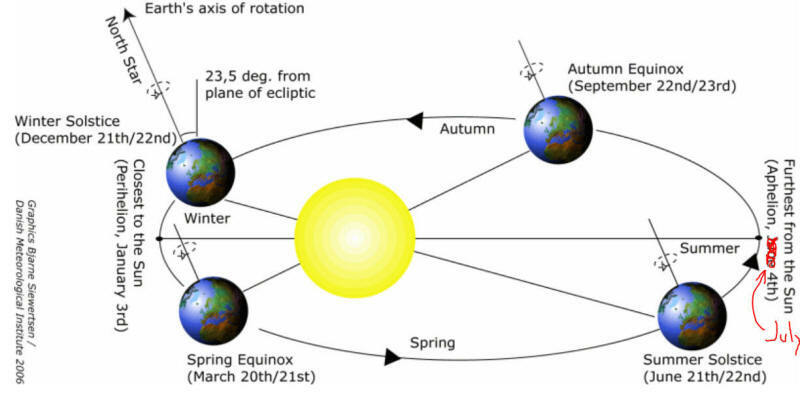 The Northern Hemisphere winter solstice and the Southern Hemisphere summer solstice both occurred today at 11:28AM. 1. What is special about this solstice? 2. What can you deduce from the diagram on the right? Fill out this form to tell me if you would prefer to drop your lowest quiz or replace it with your test score. 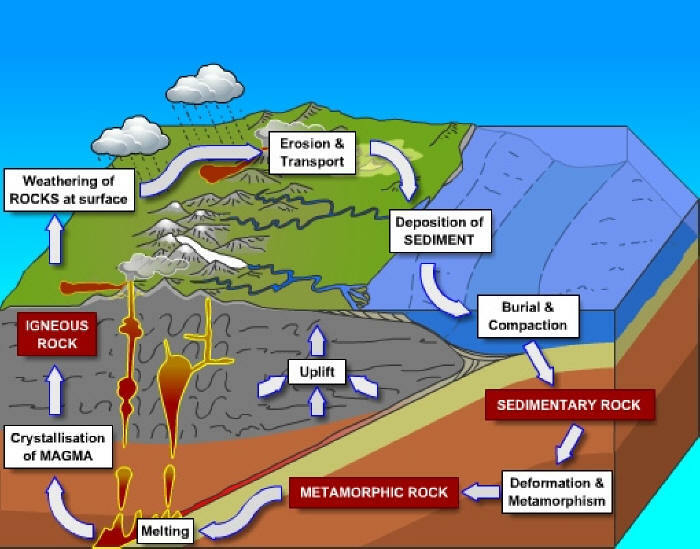 Review the types of plate boundaries and their features. Review the plate tectonics notes. Practice drawing the diagrams that we are drawing in class. As you draw the diagrams, explain the reason for every feature. For help, watch the videos above. On a clear night, go out and view the stars. See previous classes' "homework," below, for details. Mafic magma is runnier than felsic magma. Felsic magma is stickier and gooier than mafic magma. 1. Which type of magma is darker in color? 2. 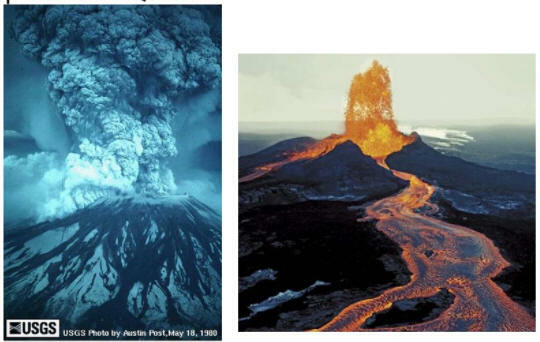 If you were given these two types of magma, and you were told to form them into volcanoes, which type of magma would be better for forming a steep volcano? 3. Suppose you were given a couple of volcanoes and some magma, and you were told to use the magma to plug up the volcanoes. Which magma would work best? 4. Suppose that, eventually, the pressure inside the volcanoes that you plugged up will cause an eruption. If you filled some volcanoes with mafic magma and some with felsic magma, which volcanoes will erupt more explosively? Practice drawing the diagrams that we are drawing in class. As you draw the diagrams, explain the reason for every feature. 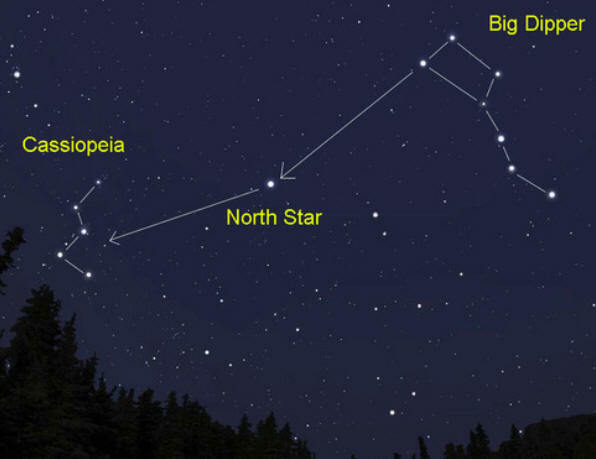 Some time before the end of thise quarter, go outside at night and observe all of the following: 1) Orion 2) Betelgeuse (a red giant), Bellatrix (the "female warrior"), Sirius (the "dog star" -- and the brightest star), and Polaris (the North Star). Have an adult witness sign a statement saying that you actually observed these stars. Turn in the statement with your name on it. One of the rocks on the right is basalt. The other is granite. Which is which? Guess which rock is more dense. What is the difference between a meteor, a meteoroid, a meteorite, and and asteroid? The Geminid meteor shower peaked yesterday morning. Why is it best to view meteors between midnight and 4AM? Did anyone see a meteor last night? Turn in bonus question from the practice quiz -- if you did it. 1. How many time zones are there on the Earth? 2. Where is the International Date Line? 3. What happens at the International Date Line? What is its purpose? More quiz review -- how to quiz yourself on the moon questions. Quiz yourself on the information in #1-7 of this handout. 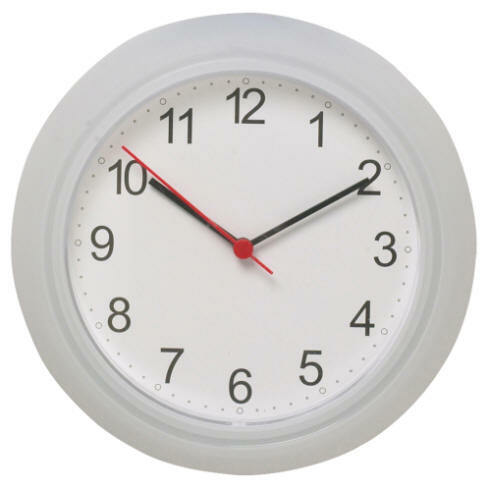 Be able to correctly label all of the times in different locations on the Earth. Be able to do this from either a "top" perspective (looking down from Polaris toward the North Pole -- North Pole in the center of the circle representing Earth), or from a "side" perspective (North pole pointing toward the top of your paper; South Pole pointing toward the bottom). Be able to do this with the sun on either the left or right side of the diagram. Quiz yourself on the information in #21 of this Handout: System of the Earth, Moon, and Sun Answer Key. If you are given one bit of information about a mon from that page, you should be able to provide the rest of the information about that moon. 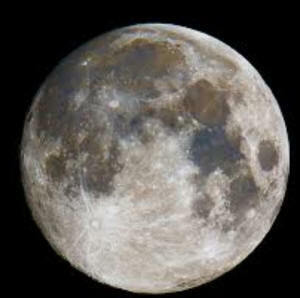 For example, if you are given the name of the moon phase, you should be able to provide all of the following: appearance, position in a diagram showing the moon's orbit, time of moonrise/moonset, time of high or low tide, tide strength, and an assessment of the possibility of an eclipse. Prepare for quiz next class. 1. 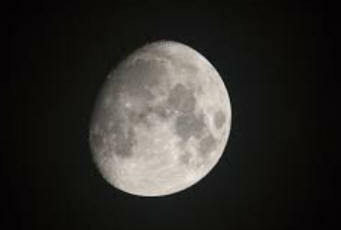 The moon rotates. In which direction does it rotate? How long does one rotation take? How can this be proven? 2 . What do you think the small tide diagram is supposed to show? Test correction day will be on Wednesday. If you are not making corrections, bring something to do silently at that time. 1. 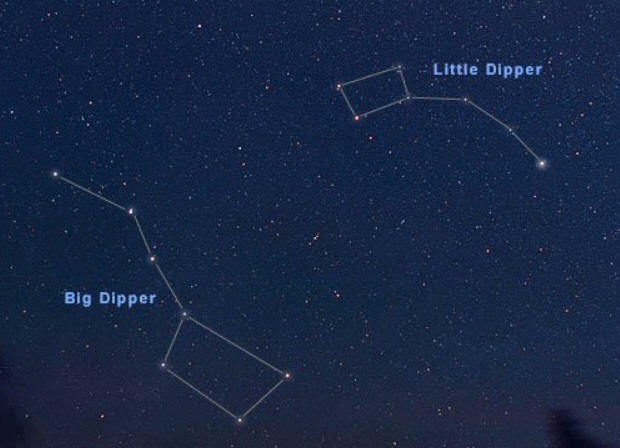 If you want to see the Big Dipper, where should you look? 2. In the picture on the right, where is the North Star? 3. 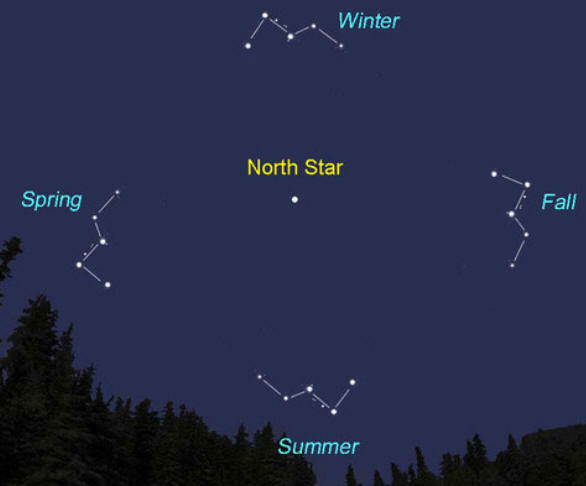 Why can't we see the constellation Orion during the summer? 4. What's your astrological sign? When is it visible, according to the diagram on the bottom right? Return and review tests, using the dividers. You have 10 minutes to take notes. If you are talking, your test will be taken away. Test correction day will be next Wednesday. If you are not making corrections, bring something to do silently at that time. A5/6 -- Finish the last page of the notes. 2. 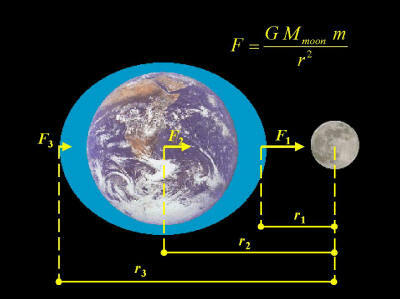 Which object exerts greater gravitational force on us, the Moon or the Sun? 10 minutes of study time. Return snowflakes. Moon phases, eclipses, tides, moonrise, and moonset. In the picture on the right, the opaque sphere blocks sunlight, causing a shadow to be cast on the number line. 1. Which positions on the number line are experiencing a partial eclipse? 2. Which positions are experiencing a total eclipse? 3. 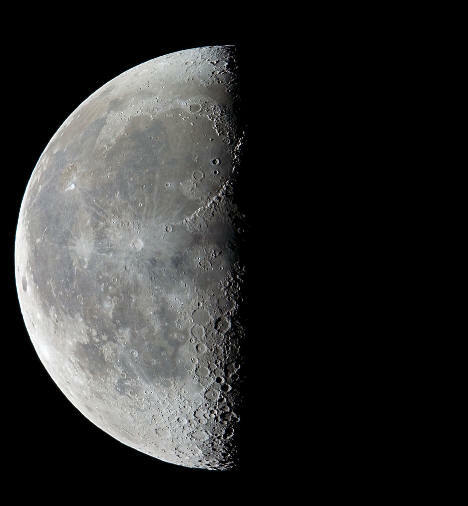 What is today's moon phase? Discuss how to study for the test. Study for the test next class. See class 30, below, for a description of the test format. Study the extended response questions and your old astronomy quizzes. For each quiz question, know why the answer is what it is. This is especially important for multiple choice questions. They may be altered so that the underlying concept is the same, but the answer is different. Understand the underlying concept(s). 1. 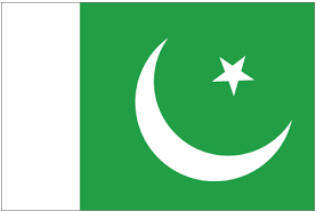 Whose flag is this? From an ESS perspective, what is wrong with it? 2. If you could jump through a hole in the Earth, where would you come out? (antipodes map) What time would it be in that location? Study for the test (next Tuesday). 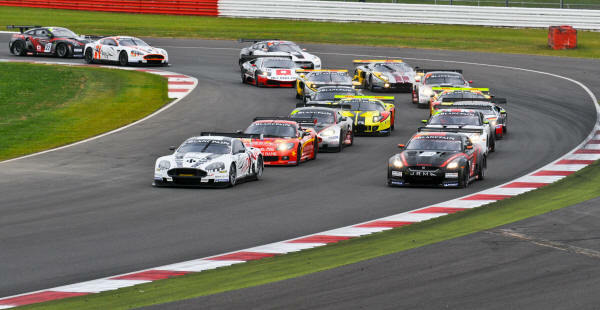 See the description of the test format, above. Study the extended response questions and your old astronomy quizzes. For each quiz question, know why the answer is what it is. This is especially important for multiple choice questions. They may be altered so that the underlying concept is the same, but the answer is different. Understand the underlying concept(s). Test on Friday -- The test will be consist of 2-3 extended response questions, plus questions taken from the four quizzes below. Study your old astronomy quizzes. For each quiz question, know why the answer is what it is. Understand the context. What are the lines in the sky? How was the picture created? Why are the lines arranged in a circular pattern? Where was this picture taken? Or, at least, where was it not taken? 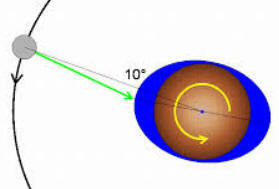 Which stars are moving faster, the inner ones or the outer ones? If there is a star near the center, what is its name? 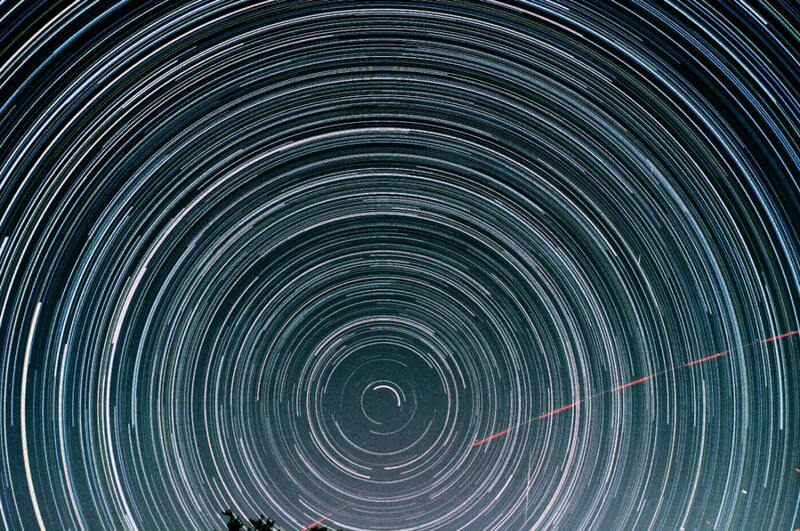 Why did the photographer have to stop the picture before the stars made a complete circle? These spectra on the right were produced by three different stars. One star was stationary, and the other two were moving. 1. 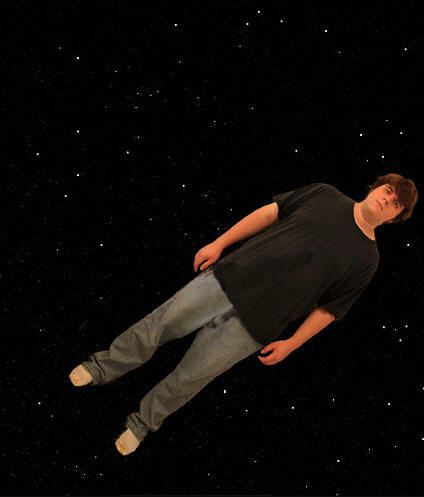 Which star was moving away? 2. 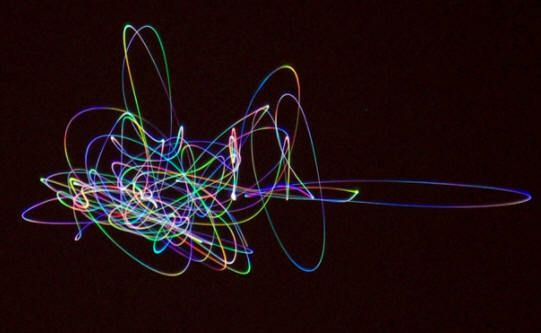 Which star was moving closer? 3. Are these emission spectra or absorption spectra? 4. 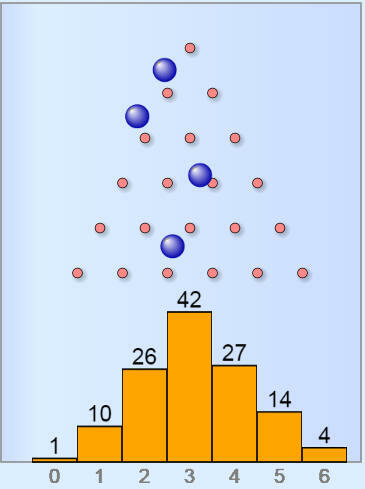 How many axes of symmetry does a snowflake have? Why does it have this symmetry? c. There is no change in pitch; only volume changes. Return quizzes and old stuff -- test corrections, etc. Homework: Review the notes. No quiz next class. 2. Temperature how cold is space? Return papers -- test corrections, etc. Stars and star life cycles PowerPoint: Stars, Universe, etc. 1. 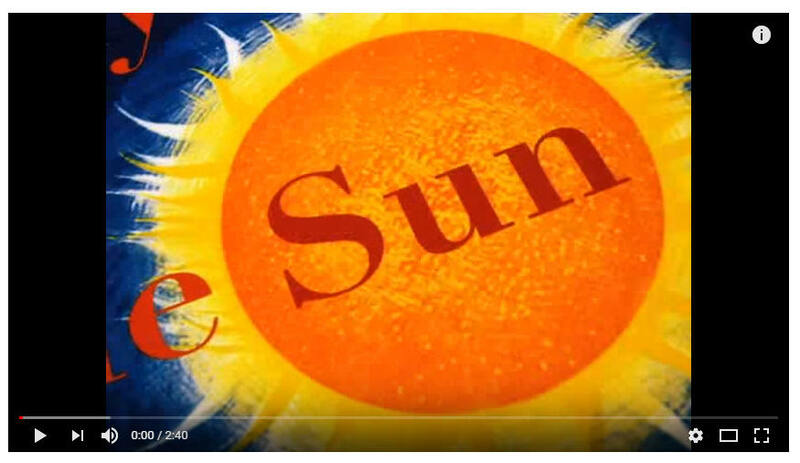 Why does the sun shine? 2. Why does the sun really shine? All submitted assignments/corrections will be graded and entered into PowerSchool by next class. A5/6 -- check and review practice quiz. Why are the outer planets much larger than the inner planets? 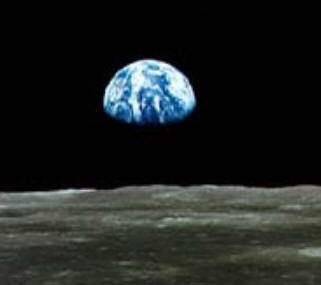 Quiz: "Birth of The Earth"
Check out this Helpful website explaining solar system formation. 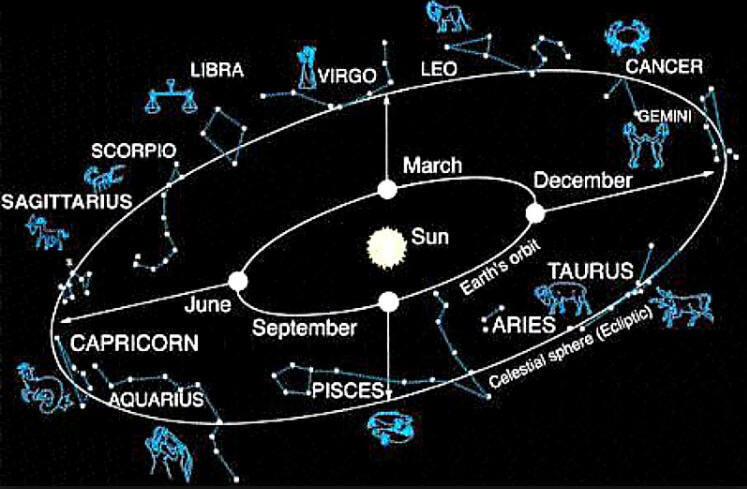 Begin learning about stars and star life cycles PowerPoint: Stars, Universe, etc. 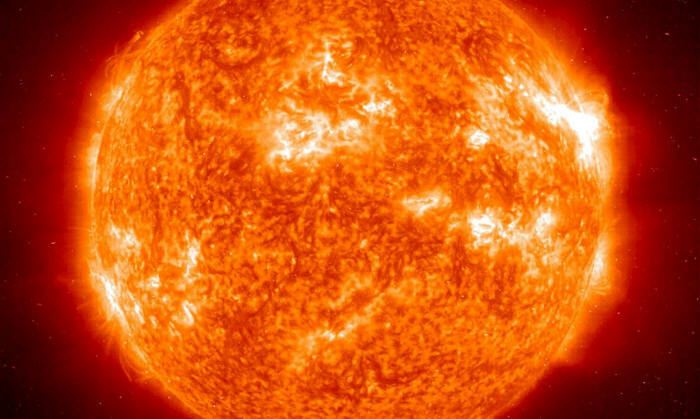 In our Sun, hydrogen atoms are fused (squeezed together) to create helium atoms. 1. What appears to be wrong with the nuclear fusion equation on the top right? 2. What is actually missing from the equation? 3. E = mc2 is a famous equation. What do each of the letters in the equation represent? If you want to see if you have successfully submitted your project, click here. Mr. Stapleton is in Montana. Watch this video on Birth of the Earth and answer these questions -- Questions to answer while watching video. Soon you will have a quiz over the formation of the Earth and today's video questions. Study the video questions. If you plan to do test corrections next class, study for that, too. , 10 minutes to make notes about questions missed, and hand back in. Correction day will be next Wednesday. Mr. Stapleton gone on Monday. Watch "Birth of The Earth" and answer questions. Research the topics you missed on the test. Study and be ready to try to fix your mistakes on next Wednesday. 5. How could this picture be useful during your test? 1. How does one siphon a fluid? 2. 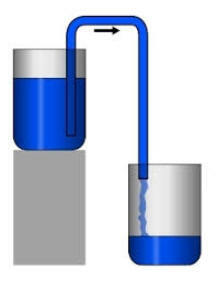 How/why does siphoning work? 3. 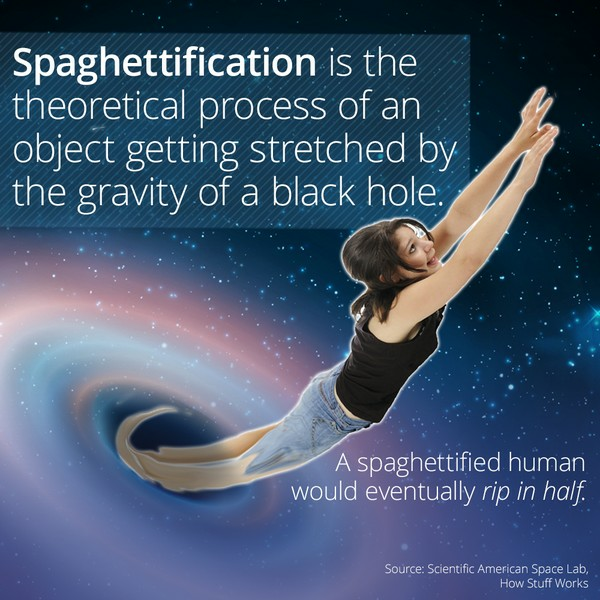 Would siphoning work on the moon? Why or why not? 4. 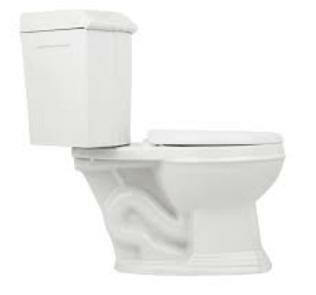 How does a toilet work? Would a toilet work on the moon? Why or why not? Finish the project. Today will be the last class work day. We will start the Astronomy unit on Friday, after the test. Deadline: Projects must be completed before next Monday. The picture on the right shows the pipes leading into the urinal in the men's restroom across from the gym. The picture was taken during our last hot spell. As you can see in the picture, there was condensation on these pipes. 1. Why was there condensation? 2. 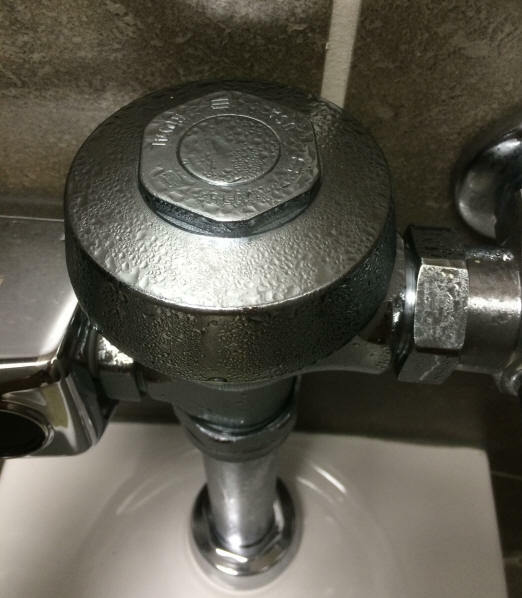 How recently had the urinal been flushed? 3. Why does this happen most often during the spring? 4. Why did it happen (unusually) during our last hot spell? Today (10/3) -- Project work time. Get practice test. Tuesday (10/10) -- Practice test is due. Turn in projects. Friday (10/13)-- Test over everything so far. If you have no zeroes in Powerschool at that time, you may drop your lowest quiz grade. Complete the Unit 1 Test Review. Answer key If you want help, look for the video on my youtube channel. Note the new rows (circled in red) that have been added to the project data sheet. 1. Does the addition of these new rows make the calculation process harder or easier? 2. How do you find each of the bits of data on the right? A7/8 Check and discuss the homework -- balloon problem #3. 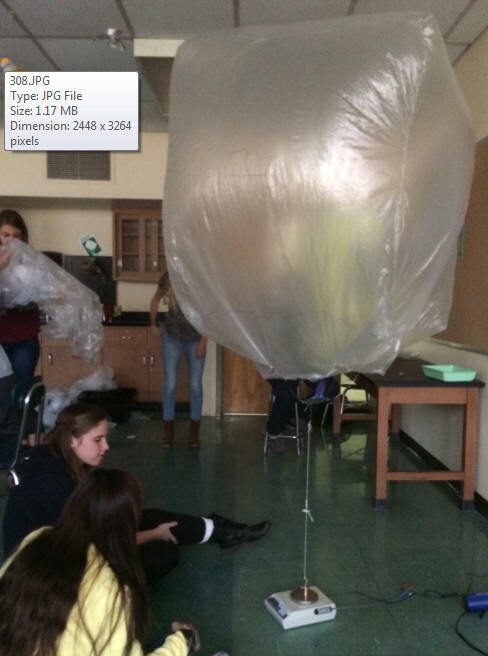 Both the Balloon Project Slideshow Template and the Grading Rubric for the Hot Air Balloon Project Slideshow have been updated. If you have already started working on the slideshow, replace the old data slide with the new one. Look at the new rubric to see how the slideshow change has changed the grading. Today's weather conditions @9:42 AM -- use thes if you can't access them during class. Today (10/3) -- Project work time. Friday (10/6) -- Project work time. Practice Test will be handed out. Tuesday (10/10) -- Practice test and Projects are due. Review and begin new unit -- waves and astronomy. The picture on the right shows a typical syringe. 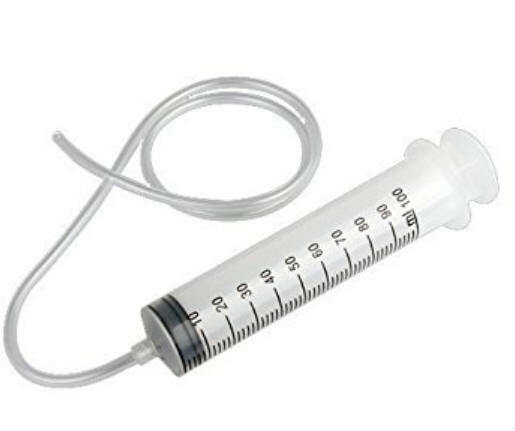 We will be using a slightly different syringe to measure balloon volume. 1. Describe the steps you should take if the volume of the balloon is bigger than the volume of the syringe. 3. What does the Snipping Tool do, and what is the easiest way to use it? Check and discuss the homework. Hot air balloon project directions. Discuss the updated directions. The Hot Air Balloon Project will be turned in as a slideshow. Here is a template to help you organize the required information -- Balloon Project Slideshow Template. Delete the purple text. It is there to give you guidance. Do not submit a slideshow with purple text included. Grading Rubric for the Hot Air Balloon Project Slideshow. Today and Wednesday (10/4) -- Project work time. Friday (10/6) -- Practice Test will be handed out. If necessary, finish your project. Warm-Up: Last night, a cold front moved through our area. 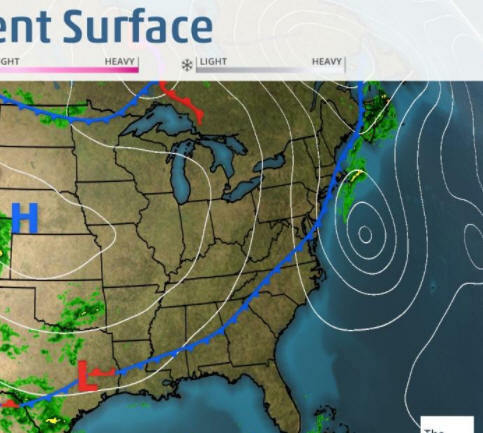 The map on the right shows where the cold front was situated this morning. 1. What happens when cold air pushes into warmer air? Which body of air rises? 2. What happens to the pressure and volume of the rising air? 3. How does the change in pressure and volume affect the temperature of the air? 4. If there is water in the air, will this temperature change cause water in the air to evaporate or condense? 5. Does this cause clouds to form or to disappear? Hot air balloon project. Click the link for directions. spreadsheet for estimating density, based on Rhino file. Hot air balloon practice problem #3. For help, watch this video. The video takes you through the problems, step-by-step. The hot air balloon on the right is tugging against a string that is attached to a 100g weight. The weight is sitting on a balance, and the balance reads 90g. 1. Is the balloon neutrally buoyant? 2. Why doesn't the balance read 100g? 3. If the string were untied from the 100g weight, the balloon would fly away. How much mass would need to be added to the balloon to make it neutrally buoyant? A7/8 -- Check in with people who did quiz corrections. Continue work in the computer lab. I think we were around step 2d or 2e, below. Design a hot air balloon and predict whether it will float or sink. Design, resize, and measure your hot air balloon using Rhino -- following Mr. Stapleton's directions. Unroll your balloon. If, for some reason, you do not have a usable 3-D design, you can download the one at this link and then begin at step 2d. Arrange your balloon parts into a net. Scale your balloon and net to be as large as possible while still fitting on the plastic sheet. Measure your balloon's surface area and volume. 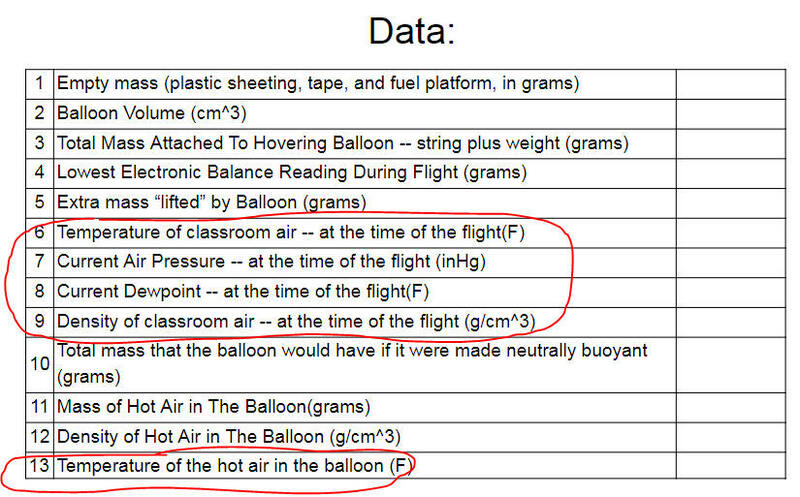 Use the spreadsheet to find out if your balloon will sink of float. Return to the classroom and construct a paper scale model of your balloon. Show me your grades in PowerSchool, if you haven't already. 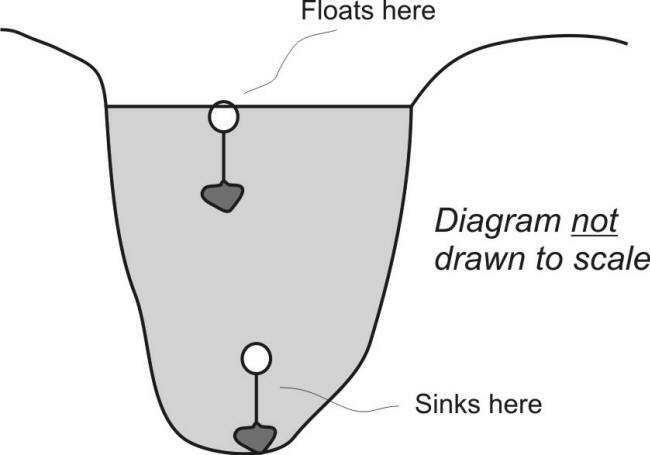 The diagram on the right shows a rock that is tied to a small, white, air-filled balloon. 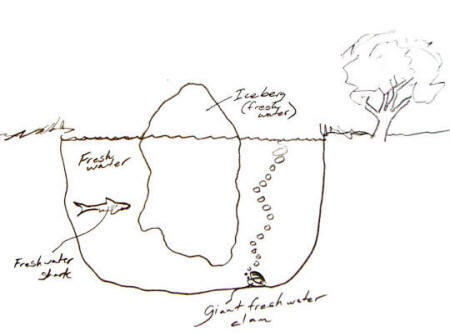 Explain why the whole thing sinks near the bottom but floats near the surface. Go to the library computer lab. Log in. Print your balloon design. Later on, use this to make a paper scale model of your balloon. 1. On Monday during A5/6, I may have said that the rising blobs in a lava lamp do not have greater buoyancy than the sinking blobs. If I did, was I correct? 2. 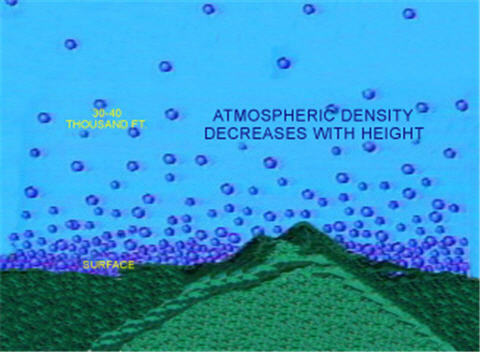 What factors do you think determine the density of air at sea level? On what type of day should the air at sea level be most dense? 3. Determine the current density of the air in this room using this calculator and today's weather conditions. 1. 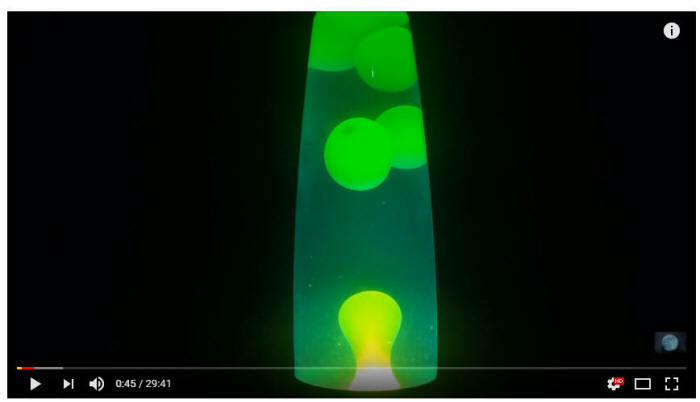 Why do the blobs in a lava lamp rise and sink? 2. Why do they connect together at the bottom, but not at the top? 3. What is the formula for calculating density? Do you remember the mnemonic? Do you know what a mnemonic is? Make a lowest density box out of copy paper (hollow rectangular prism). What characteristics give a box low density? Why? Quiz on Wednesday. No corrections for future quizzes. Quiz correction (for previous quiz) on Wednesday. 1. How does a 4 stroke engine work? Why is it called a 4 stroke? 2. 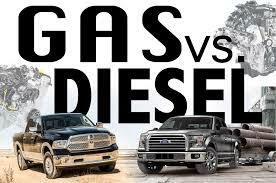 How is a diesel engine different? 3. How does a 2 stroke engine work? What are the advantages and disadvantages of 4 strokes vs 2 strokes? Changes in the corrections procedure. Test vs quiz. Correction day is next Wednesday, not Tuesday. 1. Sometimes you can "see your breath." Why can't you see it right now? I know of a way to make my breath visible right now. Can you guess how I can do it? 2. Once you've seen the trick, can you explain how it works? 3. 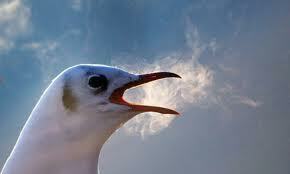 *What is in air? Return quizzes. Look over your quiz and then return it. If you want to do corrections, take notes on the questions that you missed. Grades are in PowerSchool. Check your grade. Outside of class, figure out why you missed the question, and prepare to explain the correct answer. Schedule a time to meet with Mr. Stapleton by next Wednesday (Flex on Tuesday, Wednesday, or Thursday -- not Friday -- or some day before school.). Meet with Mr. Stapleton and correct your wrong answers using a pen. You may attach extra paper if necessary. For multiple choice questions, explain why your new choice is correct. 1. An object floating in a glass of water tends to move to the side of the glass and stay there. Why? 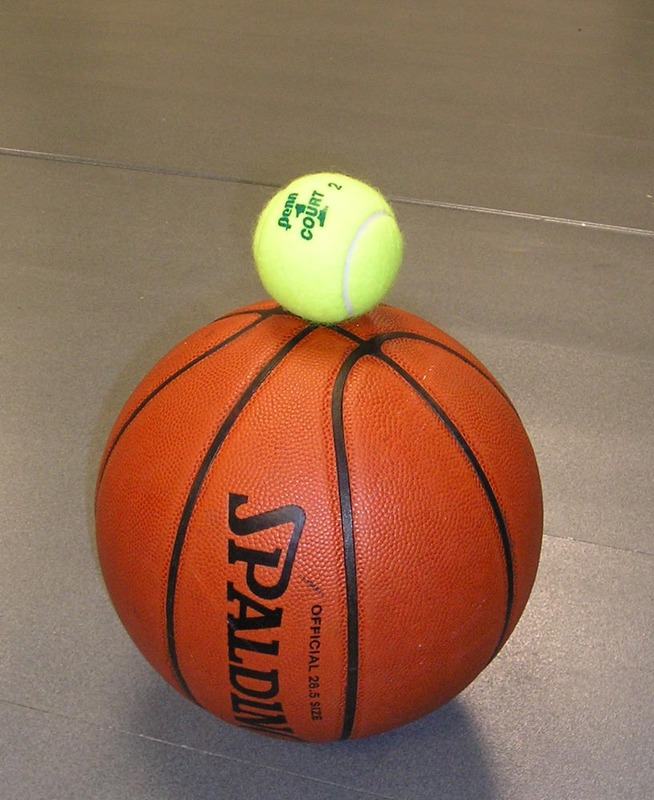 Can you think of a way to make the object stay in the middle without touching it? 2. 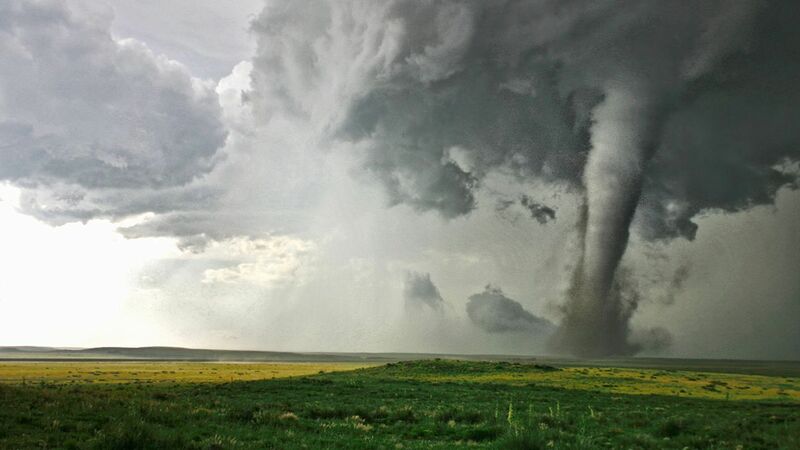 Hurricanes and tornadoes are both cyclones. 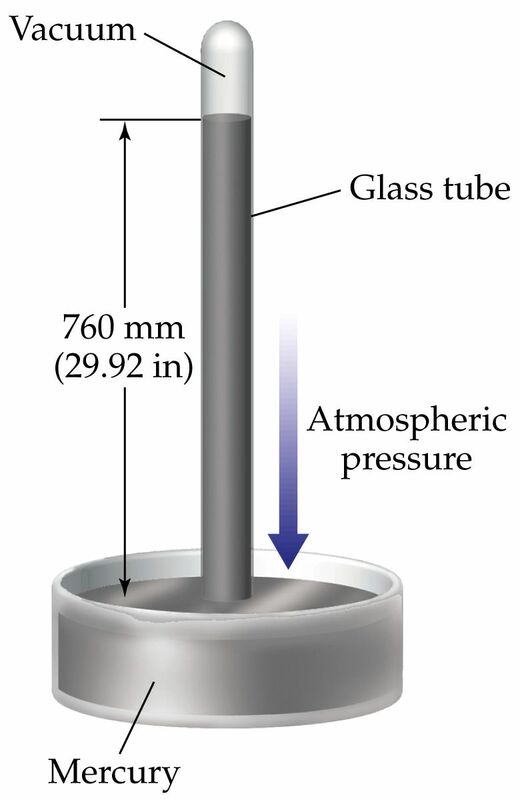 In the center of a cyclone, is there low air pressure or high air pressure? How can you tell? 3. What caused the earthquake in Mexico this morning? Why was the main portion of the Trieste filled with gasoline. Return film canister submarine procedures and questions. If you haven't turned in the questions, turn them in ASAP. Study for Quiz next class over Physical properties of matter, Density -- Filled-in version of Physical properties of matter notes. I plan to upload a video of the practice quiz to my YouTube channel. Check homework (Properties of matter practice through 21) and finish it. Signed course expectations are late after today, but you must still turn them in. Course expectations signature due on Friday. 1. Grab a copy of the course expectations. 3. 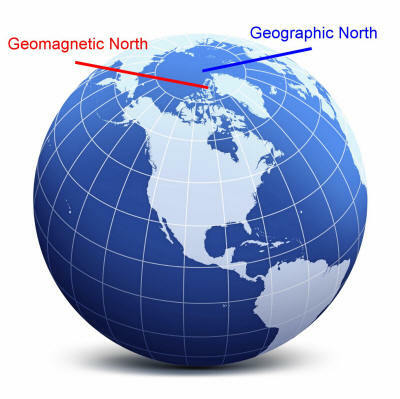 Consider this question... which way is the North Pole? Can you point to it (or pretty close)? *Important note: My A 5/6 class has D lunch. Homework: Share your course expectations handout with your parents. Have them sign and return it by Next Friday (9/9).